How we created a brand that bridges the gap between student and employee. Interview prep has never been this exciting. 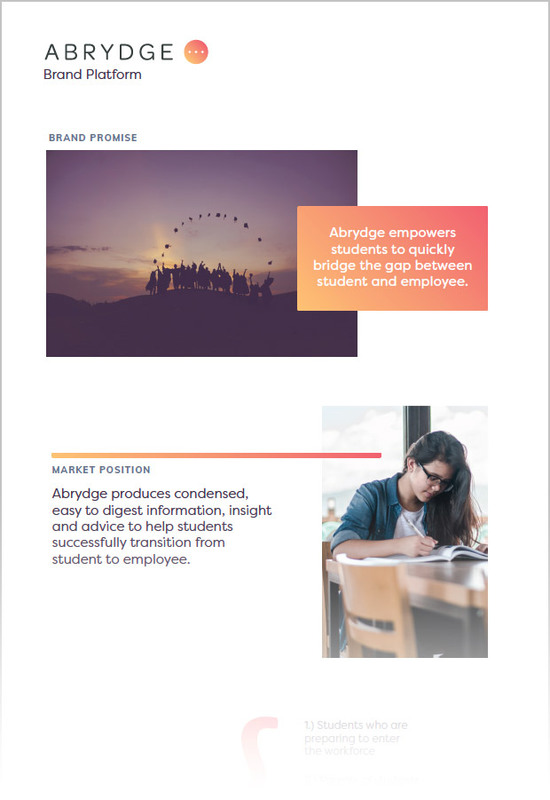 The leadership team of Abrydge approached Studio 22 with one goal: Help us create a brand that will inspire college students to prepare better for job interviews and smooth the transition from academia to a professional work environment. For our team, this was a category we were already familiar with having worked with academic institutions like Stanford and Santa Clara University. We also worked with a number of video resume startups like Visibl and Slync (U.K.) who catered to the same target market —soon-to-be or recent college grads. It begins with the name. 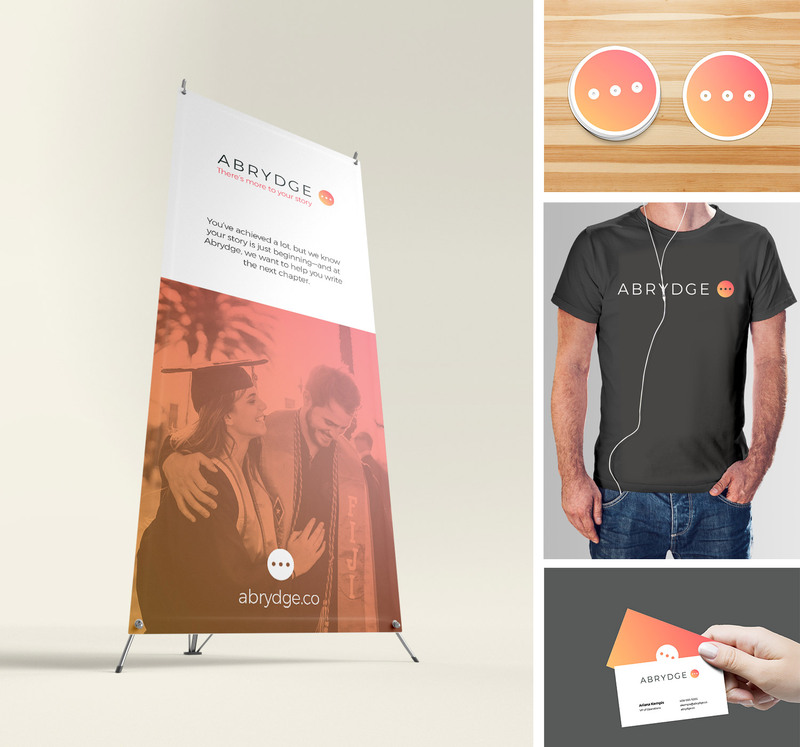 Along with the name and brand platform, we also worked with Abrydge to develop a logo that would demonstrate a modern approach while, at the same time, be friendly and accessible. We settled on this design as it evoked a number of attributes that we were important for the brand. First, the ellipsis suggest that your story is continuing and education is only a part of it. Core to Abrydge’s mission, is condensing information that would otherwise be too lengthy and hard to digest. Ellipsis indicate the “omission from writing of a word or words that are superfluous or able to be understood from contextual clues”. After the logo and branding were complete, we continued to work with Abrydge on their website strategy and providing consulting on product and service offering in relation to their brand strategy.